Johnny Marr rocked the Magic Stick in Detroit! Depeche Mode - Jimmy Kimmel tonight! New Order play Jimmy Kimmel next week! Surprise! Billy Idol rocks out at benefit in L.A. Garbage - On stage proposal in Detroit! 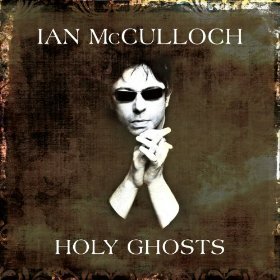 Ian McCulloch returns with the two disc set Holy Ghosts this month. The first disc in the set is titled Orchestral Workings Live at Union Chapel - the fifteen tracks included on the disc are taken from McCulloch's 2012 show at Union Chapel and feature his smooth vocal stylings and guitar backed by a full orchestra (super-producer Youth later was enlisted to mix and produce the recordings for the release). The second disc, Pro Patria Mori, includes 10 brand new songs McCulloch wrote and recorded last year. Holy Ghosts will be released April 15th as a digital album download, and will be available as an import cd on April 23rd. Pre-order the album through iTunes, Amazon, or your favorite record store. Four interview clips with Ian McCulloch and Youth are posted below along with the tracklisting for both discs. Stream all 25 songs from Holy Ghosts in full ahead of its release right now at Pitchfork.